This step-by-step approach to physical and emotional health shows how to use the body�s energy centers to speed healing. 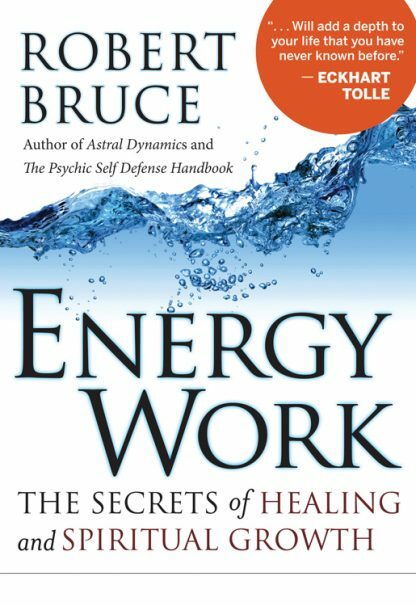 In Energy Work, Robert Bruce offers a simple, easy-to-learn approach to self-healing based on his breakthrough system of Body Awareness Tactile Imaging energy work. Bruce explains how to use tactile imaging, based on one�s sense of touch rather than visualization, to stimulate the flow of vital energy throughout the body. This is a system that anyone can use, regardless of age, health, or previous experience. Readers learn how to awaken the body�s energy centers and move healing, vital energy throughout the body. Bruce provides easy-to-follow illustrations along with a series of exercises that encourage safe, rapid results. This is a valuable guide for anyone seeking to take charge of his or her health. Robert Bruce describes himself as a mystic, healer, and metaphysical researcher. He has provided free consulting and healing service to the internet community since 1992. Born in England, he now resides in Australia. He frequently conducts workshops in the United States.